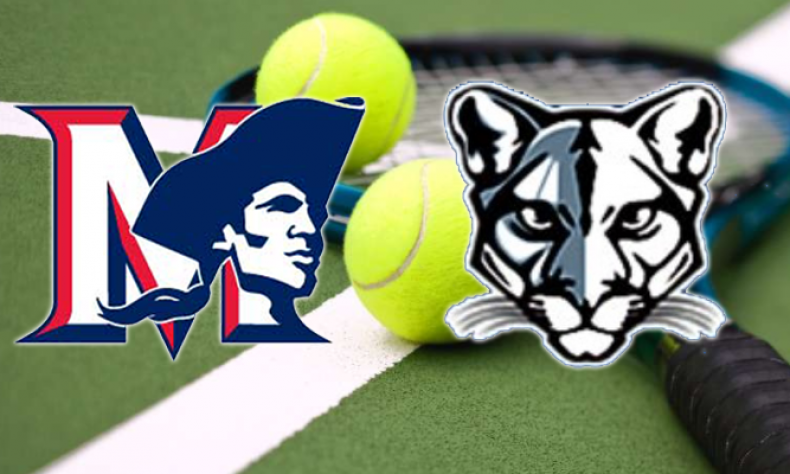 Today’s 1st round playoff match-up between the Lady Minutemen and the Lady Cougars had the intensity of a win-or-go-home contest. Beaumont had the opportunity to work out their jitters in their wildcard match yesterday while Maranatha needed to work out theirs today. Nerves were evident on the doubles side as both #1 Maddie Hernandez/Michael Wilkins and #2 Hellen Hong/Stella Wang started tight, going down promptly, 0-3, respectively. Both teams were able to get their bearings and recover to win, 6-4. That would prove to be huge for Maranatha, helping them to a 4-2 lead after the first round. On the singles side, in a pivotal match-up between the two #1’s, MHS’s Angela Hsieh and BHS’s Summer Reaves, Hsieh roared out to a 5-0 lead before closing out a 6-2 victory. #2 Malena Smith jumped out quickly to a 6-0 victory, not allowing BHS’s #2 to get into her rhythm. Both teams battled the rest of the way, splitting each of the next two rounds, 3-3. MHS’s #1’s, Hsieh and Hernandez/Wilkins, anchored the way, each sweeping their opponents. Smith picked up another win against the #3, and #3 doubles, Reagan Atallah/Aria Haver-Hill picked up an inspired second set win, 6-0. Next up for the Lady Minutemen is a road contest against the Laguna Blanca Owls in Santa Barbara on Friday, 11/3.